Just finished reading this poorly titled, yet very interesting history of Black Gay Male politics from Bayard Rustin to Joseph Beam, told primarily through portraits of individuals, some well known, and some newly discovered. There is a lot to learn and enjoy from this book, as it travels from Civil Rights, to Black Power, Black Nationalism, Prison Culture, The Catholic and Pentecostal Churches, Howard University gay student organizing, emergence and refutations of Inter-racial sexual representation and political organizing, and ending with the beginning of AIDS. Very interesting and eye-opening history of the struggle of gay black men (and women) to gain recognition both on their own terms and as a part of the ongoing Black civil rights movement. Several chapters trace the life and actions of several activists, those well known such as Rustin, and Baldwin and some lesser known, at least to me for their activity in LGBTQ struggles such as Lorraine Hansberry and a young Salvatorian brother, Grant-Michael Fitzgerald. The book is very moving and presents the tragedy of lives lost to the AIDS epidemic with grace and compassion. A challenging and interesting read especially re Fitzgerald and Tinney who sought to work within their religious faiths (RC and Pentecostal) to bring recognition and affirmation to LGBTQ persons. Black gay lives matter too! In this historical study, carefully footnoted but very honest and present to the reader, Mumford covers many issues besetting the black gay community. Although I am both straight and white, I found the book engrossing and feel lucky to be able to learn from it. Most of the sociological jargon is concentrated in the first couple chapters, so if you are put off by that, stay the course and benefit from the amazing (and little-known) history and biography that follows. 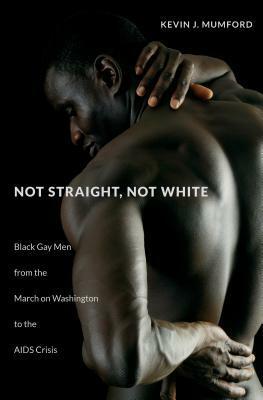 The book shows how the larger American culture, including many African-American communities and leaders, continues to oppress gays, particularly black ones. It is unfortunate that the common impression of black religious leaders being hostile to gays remains largely true, despite heroic efforts by impressive black Christian activists from the 1970s on. We are still reeling from the retreat from civil rights that took place in the 1970s and 1980s. Mumford details the progress and retrenchment that has taken place, both in gay whites toward blacks (I think back to the movie Dear White People for an example) and among Christians toward gays. Although he explicitly focuses on men, Mumford does honor many black lesbian leaders and show the importance of their influence on black gay men. Overall, I did enjoy the book. Mumford's research is strong and, while I'm not especially familiar with existing literature on black gay men's contributions to social movements, the work does seem to be quite original and something that is needed in the available literature. With that said, much of the book focused on specific figures within the movements. While these were thoughtful presentations, I felt that they detracted from the overall focus of the book; the last chapter, focusing on the AIDS epidemic was much closer to what I was expecting, offering insights into 'black gay men's' roles, rather than the involvement of a few key figures. It's possible I found this chapter more convincing because of previous research and writing I've done on the AIDS epidemic, so I had a sort of background to build off of. However, I think I found this chapter more convincing because Mumford was no longer laying groundwork and introducing new personalities. Despite this, I do see considerable value in the book and would recommend it to anyone with an interest in black and/or gay social movements within recent American history. Wanted this to be so much more. Was very localized (Philly) account of leaders in Black, gay movement. Realize that religion is very important, but it seemed that the people involved were not successful. Hey, it’s religion. Scholarship is good. Wanted more to be like the last couple of chapters, more universal, more U.S. Important work that documents the contributions of some lessor known individuals of color. Mumford sometimes assumes the reader knows things about various movements, from the Black Nationalism movement to the LGBT rights movement, that he likely should not assume. While I am a fairly informed reader on the subject, and getting more informed by the month, there were several things he mentioned as being common knowledge that I knew little to nothing about. It was interesting to read about this subject, but I found myself being frustrated by some of the information he left out.